Zoho Reports is an online reporting and business intelligence service that helps you gain an in-depth insight into your business information. Upload or synchronise data such as company spreadsheets or data from other traditional applications. Build powerful reports and charts in minutes with the easy drag-and-drop Zoho Reports interface. Share reports and dashboards with key people via email or embed in blogs, wikis or web pages. Zoho Reports allows you to easily create and share powerful reports on the web in minutes, and you do not need an IT department to do it! Take a look at the Zoho Reports overview video below for a summary of what the business reporting app is all about. The best part is Zoho Reports has just had a total revamp with extensive function and interface improvements! Quickly and easily upload spreadsheet data inCSV, TSV, XLS and HTML format. Alternatively, add data directly using the ZohoReports spreadsheet interface. Create real time reports on the fly with an easydrag and drop interface. No IT help required! Develop reports with your team, share them withcolleagues and management. Upload or transfer data from your in-housebusiness solutions directly into Zoho Reports. Make use of a wide variety of charting tools andcomponents to build your reports. Schedule report emails or embed your reports in web pages, blogs or otherweb applications. Do not worry about data security, Zoho Reports supports secure encryptedconnections. 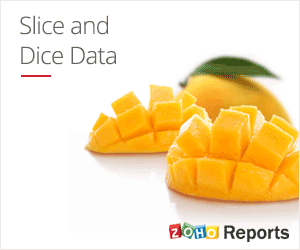 Zoho Reports synchronises with Zoho CRM for advanced CRM Analytics for sales and now activities data. This helps you to analyse CRM data and create insightful business intelligence reports & dashboards. With this integration, Sales & Marketing can drill down on organisational data and make better data-centric business decisions. Zoho Reports now integrates to Zoho Projects too, allowing you to do extensive reporting on project metrics such as task assignment trends, overdue milestone ages, planned v actual milestone duration, timesheet data and more. Mangoho are UK Zoho Partners and providers of Zoho cloud software for businesses in the UK. For more information on Zoho Reports online business reporting software please contact us here or drop us an email on info at mangoho dot com..